Tableside Ordering is a fast and efficient way for waiters and waitresses to order from tablets stationed at each table. It provides them the tools to quickly maneuver around menu items as well as make changes to the order placed with a simple touch of the button. They can create orders with iPads, Android Tablets, or Windows 10 Tablets. 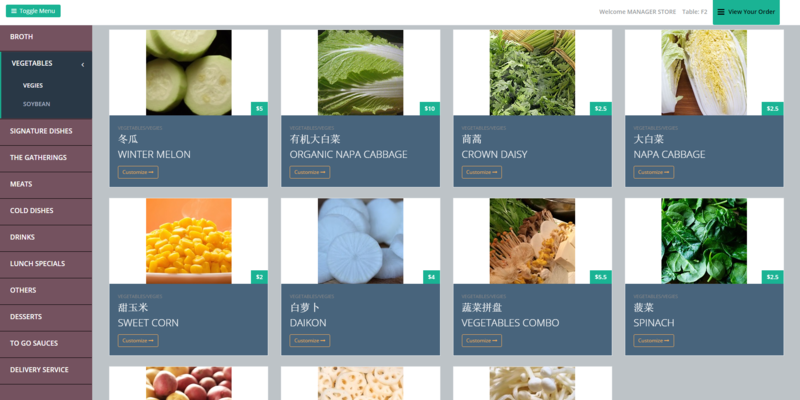 The menu items and modifiers will be shown on the iPad/Tablet and your customer can create their own order. The orders will get sent to the Vigore POS and the table will be ready to process.